Can remove shell from hens eggs, quail eggs, bird eggs, etc. Through friction remove shell of quail eggs to achieve the effect of shelling. Our company specialized in egg processing machinery and equipment development, production and sales. Fill the blank of domestic egg processing machinery equipment, changed for thousands of years of manual labor, which is suitable for the situation of our country to develop egg processing equipment. At present, the company has fresh eggs and fresh duck eggs, salted duck eggs, pure egg, preserved egg, marinated egg and salted egg yellow egg products processing equipment and production lines, the company produced equipment used to weight the eggs products level, cleaning, drying, sterilization, damage detection, fuel injection, cooking, shell, shell, egg, printing, such as processing form. New egg peeling machine, a new design, zero fault design, water circulation system, energy conservation, environmental protection, zero damage, faster and more efficient.Quick, clean, separate the eggs, shell, improve efficiency, reduce labor costs. 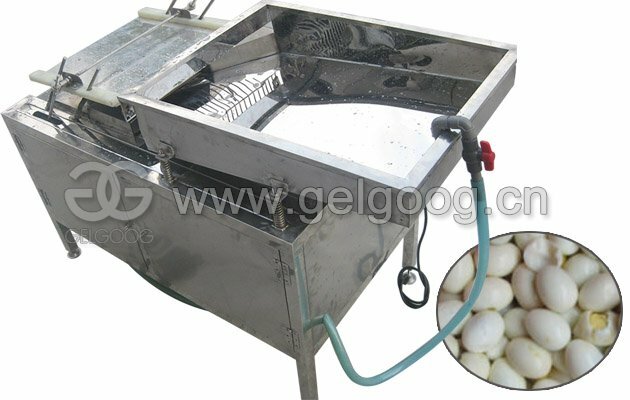 Drive the gear by turning the motor, and the machine will drive the lower motion and the rubber tube on the soft cushion, cause friction and tear the shell of quail eggs from the surface to achieve the effect of shelling. Don't damage the egg surface, high efficiency low breakage rate.